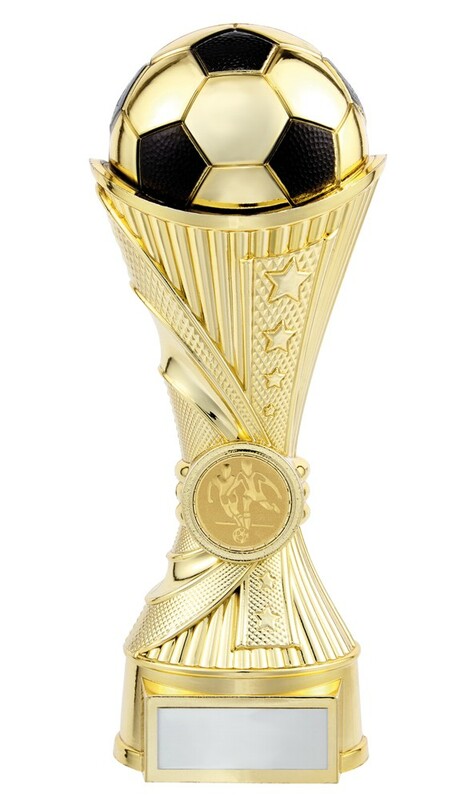 All Stars Heavyweight football awards. Available in 5 sizes, 150mm, 180mm, 200mm, 220mm and 250mm high with a shiny gold finish and black detail. These awards are made from a new toughened material that is heavier and better value than resin. Get more for your money with these heavyweights!